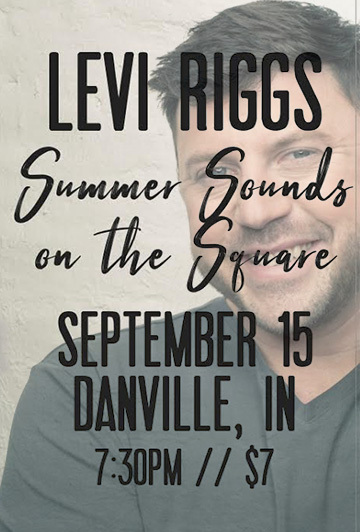 If the Summer Sounds on the Square concert series in Danville, Indiana, wasn’t already one of the best events of the summer in Hendricks County, it now has an added perk. A new summer shopping promotion, Circle the Square, has been created to help support local businesses in Danville. All wristbands from Summer Sounds on the Square concert admissions can be redeemed for a discount or special offer at one of 19 participating local retailers. The promotion springs from a collaboration between the Downtown Danville Partnership and Leadership Hendricks County. Chris Gearld, a member of Leadership Hendricks County, said that they intend to expand the program to other towns in the future. Danville is a natural place for the pilot program because it’s the county seat. So how does this work? It’s super simple! When you buy admission to Danville’s summer concerts, your admission is a wristband. Simply save that wristband, decide which participating store or restaurant is your favorite and take your wristband there to redeem whatever coupon that particular place is offering! Specific deals are listed below. There’s one more perk. Store owners will take your wristband, write your name and number on it and enter it into a raffle for a gift basket valued at $150. The winner from each raffle will be announced at the concert the following month. Each basket contains gift cards and items donated from local retailers.